I dreaded a bit as I stepped inside the Thrissur district general hospital in Kerala. I have walked in and out of government hospitals almost half of my life as a health and science writer for various newspapers. But I was never the patient. Going to a government hospital carried with it some stigma, even in Kerala, where only a few decades ago, the public healthcare system was considered very good. My decision raised eyebrows and elicited sympathetic glances. One early morning, I went and got a token. It was number 72. I went upstairs as directed by the lady at the token counter. Expecting a dreary dark corridor with sad looking patients, I was in for a pleasant surprise. I was among colourfully dressed women and children sitting on gleaming red steel chairs. The place, though a hospital, looked quite cheerful. The token numbers of patients appeared on a digital board periodically. Did it mean that people from all classes came to this hospital? Did it mean that all government hospitals are like this? And more importantly did the appealing exterior reflect satisfactory services too? Before I could find answers, I realised it was about 2.30 in the afternoon and there was just one doctor. The second doctor on duty at the gynaecology OPD was on leave and the third one was in the operation theatre. My turn came and the young doctor seemed like a personification of gentleness and compassion. There was no trace of impatience despite Dr Ramya working since 10 am without so much as a cup of tea. To cut a long story short, the building was brand new and its chairs, other furniture and digitised token system stood out. And all this was possible due to the funds generously given by the government to the district health authorities. But the new building was idle and deserted for three years, with no furniture or other basic amenities to make an OPD functional. Then Joyalukkas Foundation, the CSR wing of billionaire jeweller Joy Alukkas, entered the picture. The Foundation furnished the OPD, and has since been helping the hospital in other departments where it had gaps. The bronchoscopy unit, for instance, was idle as the air conditioner was not installed and the room was not suitable to carry out the procedure. So Joyalukkas Foundation renovated the room, provided a lead door and air conditioned it. “Wherever there are gaps, we are filling in,” says PP Jose, head of the Foundation. The electronic token system, which ensures smooth functioning of the OPD, was thanks to another jeweller, JOSCO, said Dr Aloysius, the hospital superintendent. How does this work? Dr Aloysius explained that he actually approached philanthropic foundations with requests. It has worked here as it is a big district, he points out. At the Thrissur government medical college hospital, which caters to patients from tribal belts in northern Kerala bordering the district, old wards have undergone a transformation thanks to philanthropy. 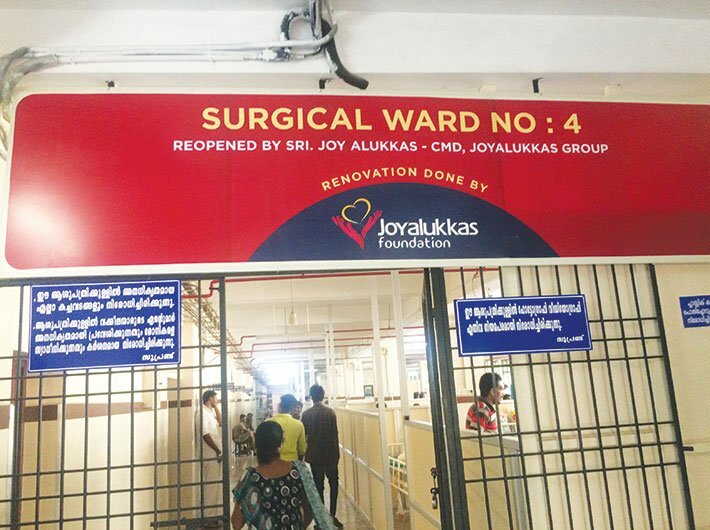 Joyalukkas Foundation has been renovating these old wards. The surgical and orthopaedic wards, which are among the oldest, now shine bright with newly tiled floors and walls. Flat-screen LCD televisions look down at patients in all wards now. “Our MD himself approves the final design. He wants everything to be perfect. He does not like sloppy work,” says Jose. These philanthropic efforts are not part of a systematic public-private partnership. But they seem to be catching up in a big way. The latest effort is being spearheaded by a media house which has taken up the cause of another medical college hospital in nearby Kozhikode district. Mathrubhumi, one of the oldest and most respected publications in the state, has started ‘Mission Kozhikode Medical College Hospital’. Many of Kerala’s billionaires and philanthropists are coming forward to contribute towards this new model of partnership with government-run hospitals. TS Kalyanaraman, the billionaire jeweller from Thrissur, has handed over Rs 25 lakh for this project. Others have followed his example with smaller and bigger amounts. Many parliamentarians are also loosening their purse strings and donating from the MP funds. MP AK Antony recently donated Rs 50 lakh, while MP Veerendra Kumar, who is also the MD of the Mathrubhumi group, has donated Rs 6 crore. She has formed a committee to oversee the use of funds obtained under the mission. The committee will also make a master plan for the college. But can philanthropic aid to the healthcare sector in Kerala ensure a perfect system? 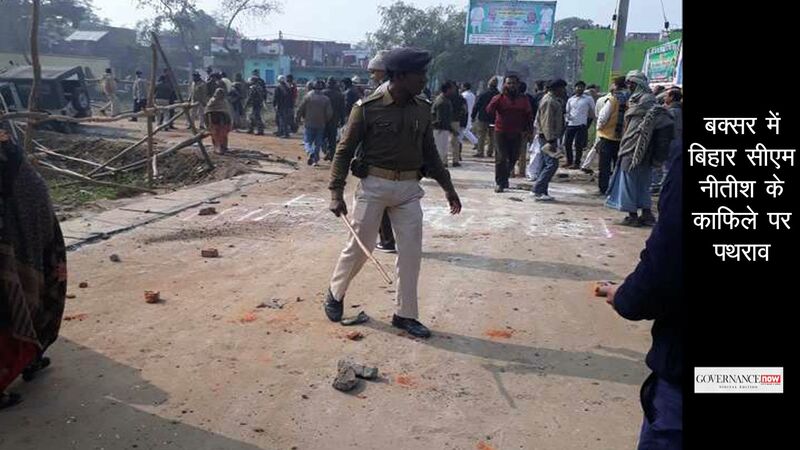 While lakhs and crores of rupees may flow into building infrastructure and health camps, the reality inside the hospitals is a harsh one – both for the patients and doctors and other staff. The Thrissur district general hospital, for instance, is supposed to have 100 doctors but has less than 50. 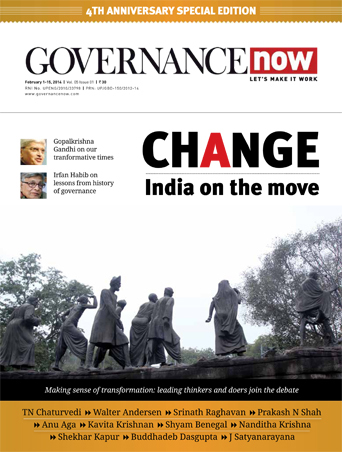 The reason, says Ramesh Kumar, president, Kerala Government Medical Officers Association, is that the government still goes by health patterns of the 1960s whereas demographic changes now require more posts. Besides a general hospital is supposed to have 100 doctors, especially with 250 deliveries a month, 1,000 out patients daily, not to speak of a large number of casualties and operation cases, he says. At medical college hospitals matters are even worse, though philanthropic efforts have helped in improving the external appearance of these institutions. About 30 percent of posts of doctors in every department is vacant as there are no takers, says Dr P Balagopal, a surgeon and former superintendent of the Thrissur district general hospital. “Doctors are not allowed to do private practice here unlike in government hospitals. So many shy away from medical college postings,” says Dr Balagopal. “As a result those who work there are overburdened, working often continuously for three days without much of a break. We sometimes work at a stretch for 48 hours,” he adds. With about 1,000 beds, this medical college hospital has barely 200 nurses, thus leaving patients often unattended. In such a scenario can the private sector or charity improve the situation? Can there be funded posts for nurses and doctors? It seems that the state government is currently not worried much about the fate of patients or overworked doctors and nurses. He is ruthless in his criticism of the government style of handling healthcare. “There is a limit to which charity can assist public healthcare. Till we stepped in with a few lakhs, the district hospital in Thrissur was just concrete building built at a cost of Rs 7 crore. Yet patients and doctors were using the old, crumbling building. The new building had to wait for three years till someone donated furniture and a few things to make it functional. This is how government works,” he says shaking his head. “The solution, I feel, is in the government handing over its hospitals to the private sector,” says Alukkas. He doesn’t believe that it would make them expensive. “The government should suggest services which are fee chargeable. It is my model. Why don’t we try and see?” he asks. “You can sleep on the roads in the US and Dubai. The governments there do not build these roads. They only monitor their quality and maintenance. Here, the government institutions are like orphans as government runs them, and so poorly,” Alukkas adds. Ripping apart his own philanthropy, he says, “What use is a little here and a little there? This thin spread of charity helps no one. I would prefer adopting entire hospitals rather than just building a few wards.” Alukkas is planning to unveil a philanthropy bonanza soon. States like Kerala and Tamil Nadu have gone out of their way to provide generic drugs to patients, besides ensuring their availability in government hospitals. But for those drugs patients need to go to government hospitals. At present apart from the appealing buildings, free drugs and medical expertise, there is much that needs mending in Kerala’s government healthcare facilities. Philanthropy at least is not looking in that direction.